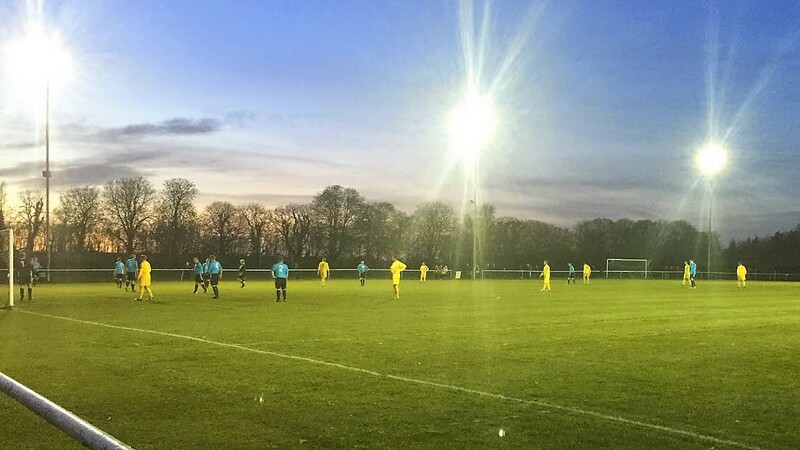 The North Berkshire League has been a staple of Groundhop UK's schedule for some time now. It is mainly park pitches, so does not interest me so much. That said, I might dip my toe in the water for the hop next season, it will just depend on what else there is on the day. Founded in 1908, it has 5 Divisions, with the top one, Division 1, sitting at step 9 of the Non-League pyramid. It can be a feeder league to the Hellenic if the clubs desired, but most of the teams with the facilities to go up - such as Abingdon Town and Wallingford Town, have opted to stay in the league for financial reasons. There are a few entertaining stories coming from the hops held so far - most notably a rather foolish hopper, who without the credential to get into a game, tried to cheat the system. This may sound daft, but the game was being held at an RAF base, and the said person had sneaked in by hiding in the back of someone's car. As you can imagine, you do not mess with RAF security and when they found out, the person was picked out very quickly to avoid the whole party being thrown off the base. The game was being played at the ground of Milton United. They are one of a number of North Berks League teams who have made the step up to the Hellenic League. Last season they won the Hellenic Division 1 East to move up to the Premier Division for the first time in 5 years. Their best ever finish in the league came in 1991, when freshly promoted, they finished as Champions, this being when it was a step 4 league. This season they have held their own, and barring a dramatic collapse, should stay up with ease this year. This season saw them have their best ever FA Cup run, reaching the 1st Qualifying Round before a 3-0 league defeat to Abingdon United. The 2nd Round of the FA Vase has been reached on 3 occasions. The village itself is halfway between Abingdon & Didcot and has a population of just under 1300 people. It was Faringdon Town's 'A' team that would be competing in this final. They had got here with victories over the reserve teams of Drayton, Stanford ITV and Long Wittenden. They competed in Division 4 of the North Berkshire League this season and were currently 6th in the league. The club itself were formed in 2006 and have spent most of their time in the North Berks League, winning all 4 Divisions. Several local cups have been won, and season 2009/10 was one to remember when they captured the NBFL Charity Cup, the NBFL Charity Shield and the Faringdon Thursday Memorial Cup. Wallingford Town Reserves reached the final by beating the reserve sides of Marcham, Grove and Berinsfield. They were a league lower, but doing a lot better, sitting in 2nd place before the game. 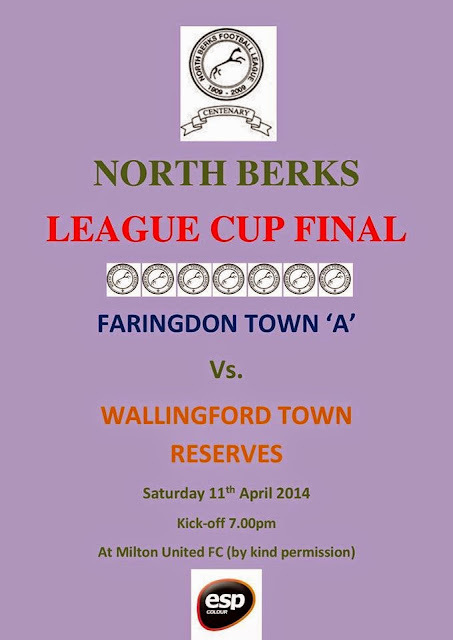 The first team of Wallingford Town were formed as a merger of Wallingford Town and Wallingford United in 1995. They were initially known as AFC Wallingford and had some great times around the turn of the century, even beating AFC Wimbledon to runners up in the Combined Counties League in 2002/03. The previous season they had won the Premier Division and had another couple of runners up positions. They had some good FA Cup runs during that period too, reaching the 2nd Qualifying Round on 3 occasions. Geographical boundaries meant a switch to the Hellenic League in 2006 and a couple of years later, they opted to join the more local North Berkshire League. Since the switch, they have remained in Division 1, with a best finish of 4th coming in 2011. Around 6 weeks ago, I saw on Facebook that fellow groundhopper, friend and North Berkshire aficionado Laurence Reade had been chosen to present the Trophy at the North Berks League Cup final. He asked as many people to support the event as possible, and as it was on Saturday night, at a ground I had not been to yet, I pencilled it in nice and early. The kick-off time of 7 was ideal - it would give me enough time to get to the ground after the Wycombe Wanderers v Cheltenham Town game, and would also mean that I got back home in time for Match of The Day. Perfect. It would also leave me with just Brimscombe & Thrupp to do to complete the Hellenic Premier, a feat which I hope to achieve before the end of the season. On the day of the game, I woke at 9 as it was my day off from work. I had a bath and got dressed before going down the shops and getting a paper amongst other things. With the information contained therein, I placed £15 worth of bets on the Grand National and today's football. After lunch, it was time to go to the footy, with a win for Wycombe essential if they were to maintain their push for promotion. We took the lead just before half time with a great shot by Aaron Pierre but true to form we conceded a daft equaliser. Paul Hayes mistake letting Cheltenham in for an equaliser. Thankfully Wycombe went straight up the other end and restored their lead with a header by Alfie Mawson. It could prove to be a poor year for Cheltenham football with Town, Saracens and Bishops Cleeve all in relegation spots. From the Wycombe game, it was a 45-minute drive to Milton United, with mainly fast moving roads making the journey easy. I got there just before 6 and had myself a pint of Stowford Press at £3.30 and sausage and chips at £2.40. I checked Facebook and read the glossy programme (a good value £3 with entry) while I waited for the game to start. The game started at a slow pace but with some good passing football. There were not many clear cut chances but on 30 minutes Wallingford took the lead. I learned from Laurence that the cup involves sides from the bottom 2 divisions of the North Berkshire League and must be the club's lowest-ranked side - hence no first teams in the competition. That's how it stayed at half time and during the break I went back to my car to get my coat as it was getting quite chilly. Wallingford doubled their lead on the hour mark when a good run down the right culminated in the Faringdon keeper being beaten at his near post and only being able to parry the ball into the net. It wasn't the greatest of games but Wallingford were the better team. Just before full time, they forced the Faringdon keeper into a good save to prevent them from getting a third. Afterwards, I watched Laurence present the medals to both teams, as well as a little keepsake for the ballboys that had helped out. While it had not been the best of games with Faringdon not turning up in an attacking sense, it had a lovely community feel at the game. The £3 was a nominal charge to pay for entry, especially seeing as it included a programme. I think Milton United did well out of the day too, selling a fair amount of food and drink. I had done well on the day too, making a £23 profit on my bets, and it was a short drive home with me getting back in time for a couple of ciders with Match of The Day, before my shortest nights sleep of the week - just a few hours before waking at 4am. POTASH LANE (or The Heights as it is sometimes known) is a decent enough step 5 venue. All the accommodation is on one side, with seating for around 100, and cover for another 150 people standing. 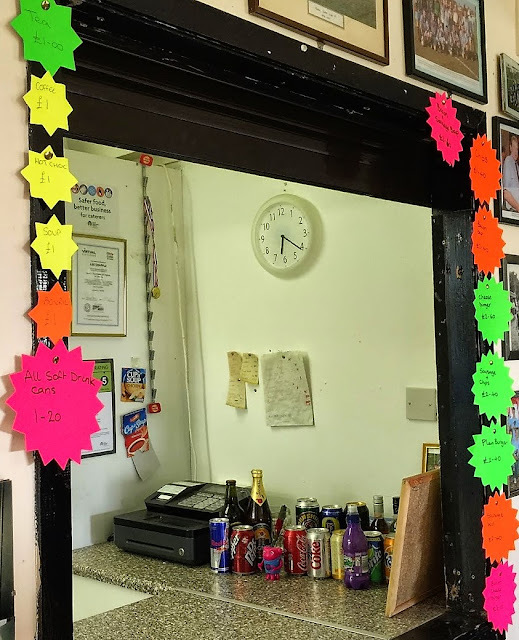 It's in the middle of nowhere, but that's no problem as the bar has a fair range of stuff and the food is good too. It does take a while sometimes, but at least it is freshly cooked for each person.